Clean, contemporary look but with an inviting warmth. Having worked with these Edmonton clients before I had a pretty good sense of the overall style they were hoping for. With a large family including a handful of young, energetic grandchildren it was important to make sure this space would function for large gatherings but also be easy to use when it’s just husband and wife at home. In the kitchen, the main cooking area remains intimate for efficiency but the layout still lends itself to hosting a crowd. There are dual islands- one with a second sink for added prep space and the other as a space to entertain but also designed with their grandchildren in mind. We added storage on the back of the second island to accommodate children’s toys and colouring books and made those doors out of a very durable laminate material to withstand little feet and fingerprints. A decorative area with a built in coffee maker and stunning glass cabinets polishes off this kitchen. 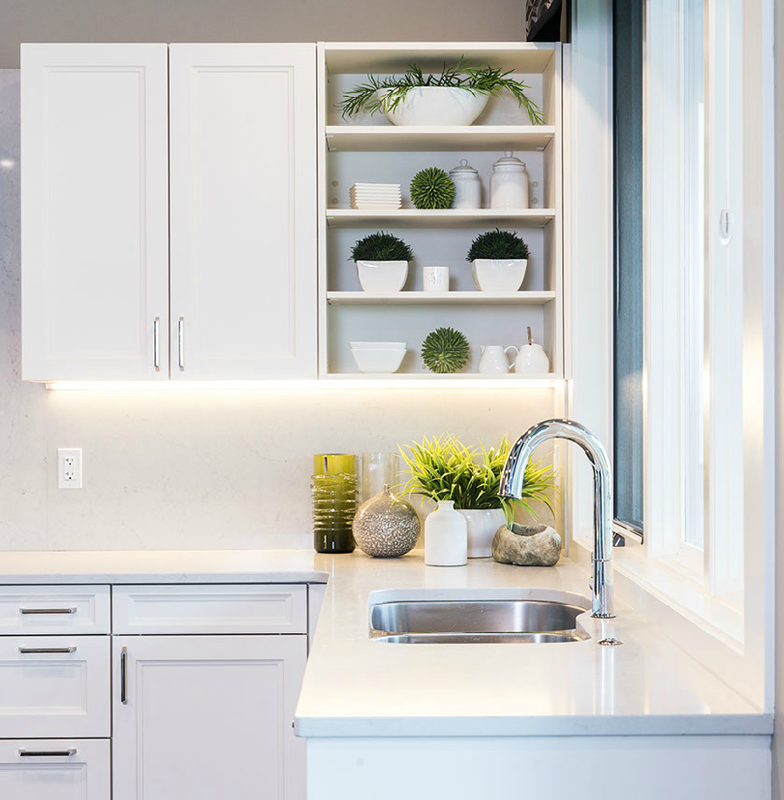 We paid specific attention to the small details; the edge profile on the countertops, the integration of appliances, the simplicity of backsplash selection, the minimalistic design of the hood fan, specifying appropriate lighting… the list goes on. 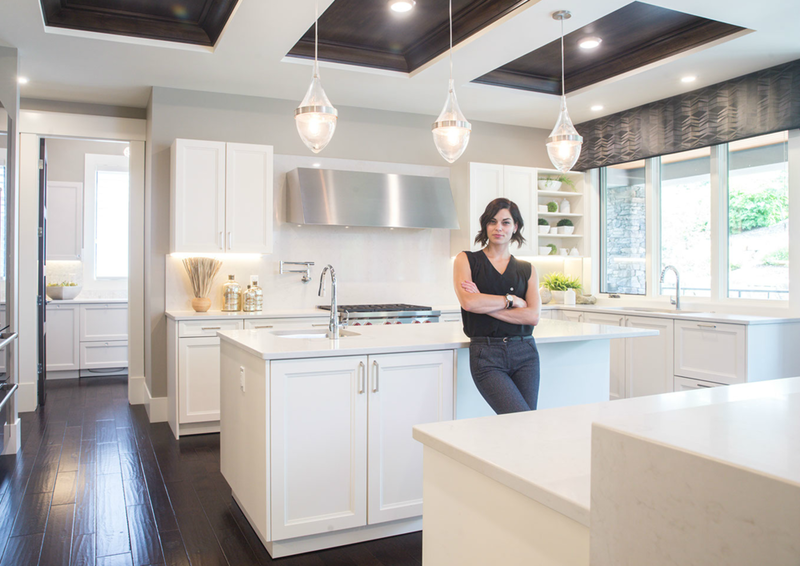 Ready to start the kitchen of your dreams?